We’re at war and we’re losing badly. In this case, we’re not talking about ISIS (although the same is true of them). Humanity is locked in a death-struggle with rats and the rodents have out-matched us every step of the way. 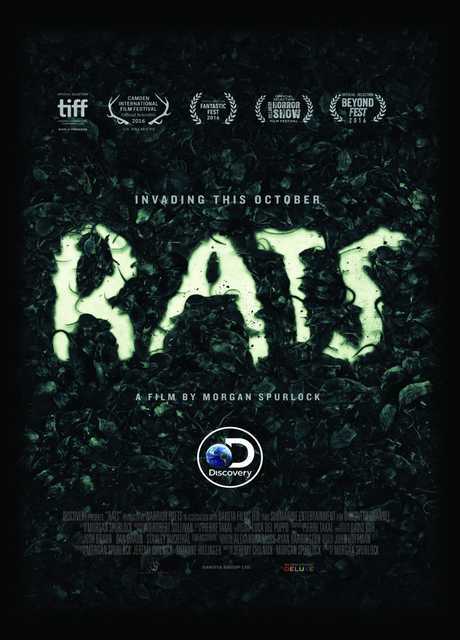 Everything about the dirty critters are worse than you thought according to the experts in Morgan Spurlock’s horror movie-documentary Rats (trailer here), which premieres on the Discovery Channel this Saturday. Apparently, today’s rats have evolved and mutated even more than the X-Men, leaving them increasingly immune to most rodenticides. Scientists know for a fact they are bigger, stronger, and more adaptable than they were a century ago, because they have the rat archives to prove it. In contrast to most of his films, the ordinarily not so camera-shy Spurlock never appears in Rats, possibly because he was so creeped out. 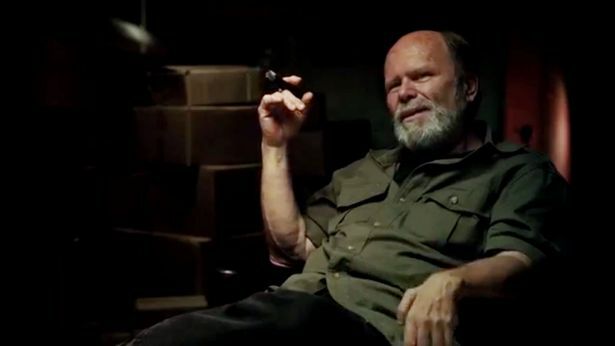 Instead, the face of the film will be cigar-chomping exterminator Ed Sheehan, who is New York to the bone. In between Spurlock’s globe-trotting segments, Sheehan tells us straight up we are fighting a losing battle against the vermin, even though he has been well payed for waging it. Spurlock takes us to New York City Hall, where the two-legged rats plan this year’s campaign against the four-legged variety. He also tags along on a walking inspection tour with City health inspectors, who point out the telltale signs we would otherwise overlook. There are plenty of unsettling shots of rats gorging on garbage, but it is even more disturbing to see what gets pulled out of them during autopsies. They carry more than just the Plague, but that is very definitely still a concern, along with Zika and Ebola. In a way, Spurlock allows time for contrary opinions, showing viewers how live rats are harvested in Cambodian fields and shipped to Vietnamese restaurants, where they become real deal menu items (who knows, maybe they taste like pumpkin pie). However, these sequences might be the most disturbing. However, for sheer spectacle, it is tough to beat the site of specially trained terriers gong to town on an English rat colony. (Apparently, the New York rat problem has gotten so bad under de Blasio, one downtown neighborhood association started their own terrier patrols). Often the tone of Rats is reminiscent of The Hellstrom Chronicle, which is only too appropriate. Spurlock delivers the gross-out goods, but the film is still quite informative, as one would expect from the Discovery Channel’s imprimatur. Frankly, this is probably the most watchable film he has ever directed. Somehow Rats manages to be disgusting, alarming, and perversely fun. Highly recommended for inquiring minds, it airs this Saturday night (10/22) on the Discovery Channel.